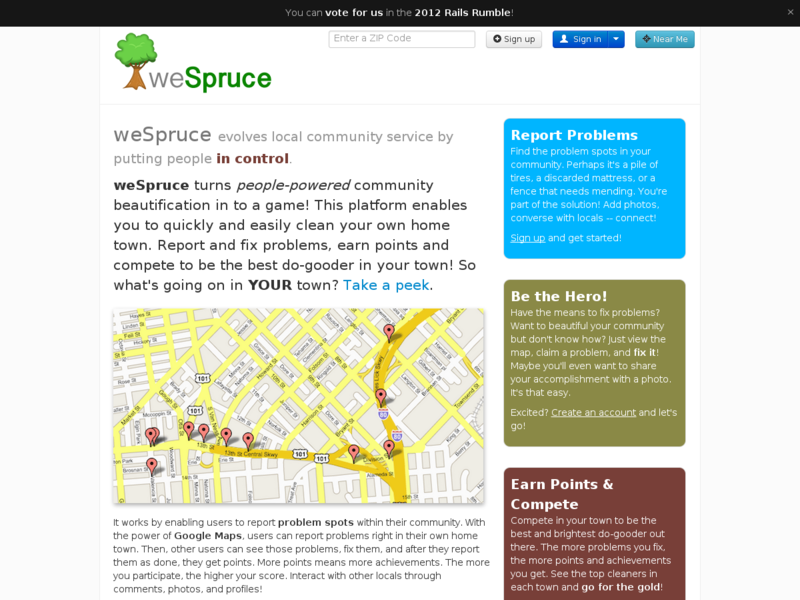 weSpruce makes community service fun, and puts locals in control by turning people-powered community beautification in to a game! weSpruce is a platform that makes it quick, easy and fun to clean up your home town. 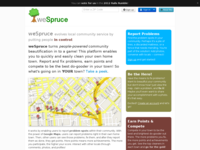 Clean up problems, report your own to earn points and compete to be the best do-gooder in your town! weSpruce hopes to connect people together through an efficient framework to get things done locally. Built By Team "Performing the Needful"